Endometriosis is a disease where tissue similar to uterine tissue grows outside of the uterus. The most common symptom is intense pelvic pain that’s at its worst during menstruation. 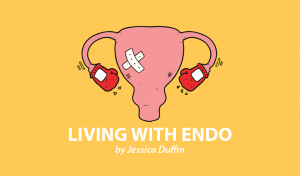 The tissue that grows outside the uterus behaves the same way it does inside the uterus — it breaks up to be expelled, but since it’s not where it should be, it gets trapped inside the pelvis, which is what causes pain and issues like endometrioma. As per the ASRM (American Society of Reproductive Medicine), endometriosis is described as having four stages. 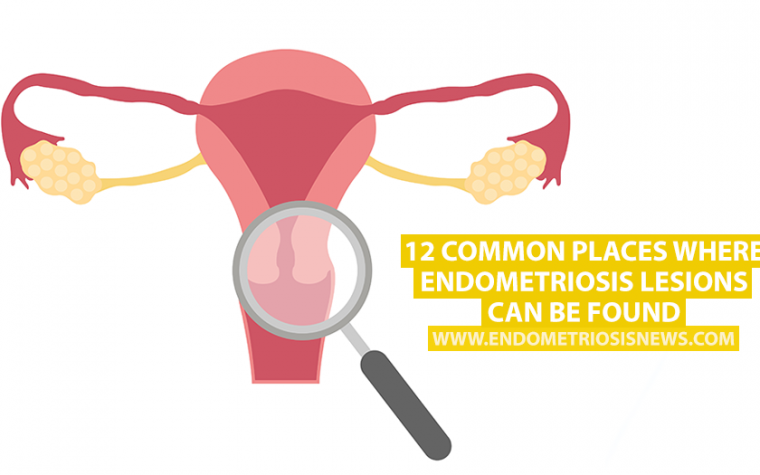 Each stage is based on the location, amount, depth and size of the endometrial tissue and does not automatically reflect the amount of pain, infertility risks or symptoms one may present. A patient can be on stage I and be in a great amount of pain and someone else can be on stage four with little to no symptoms. MORE: Three tips to help cope with endometriosis pain. 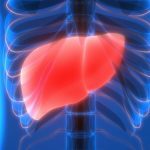 Stage I or minimal stage: This stage is usually marked by small patches or lesions or swelling either on or around the organs in the pelvis. Stage II or mild stage: This stage might be a bit more pervasive than the previous one but the damage of the pelvic organs is still pretty limited. There’s not a lot of scarring or adhesions. Stage III or moderate stage: This stage is occasionally more widespread. By now, the tissue is beginning to infiltrate the organs in the pelvic region, including pelvic side walls. There may be scarring and adhesions. Stage IV or severe stage: By this stage, the disease is actively infiltrating and affecting several organs in the pelvic region and the ovaries. 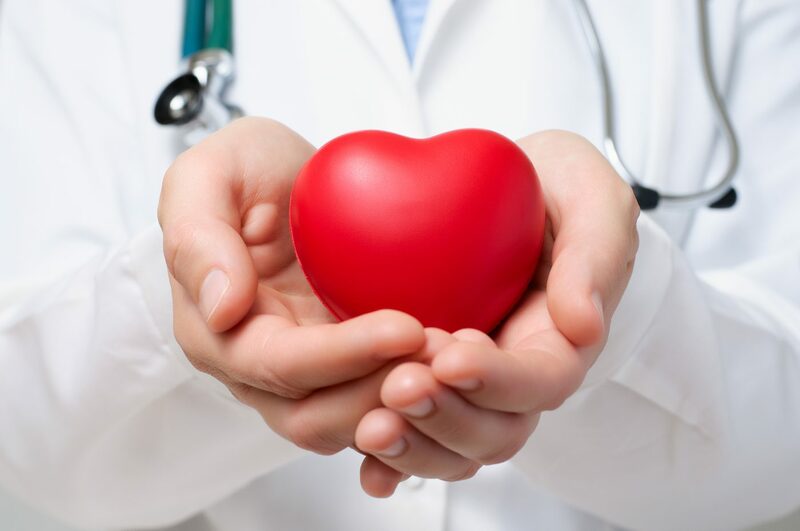 This leads to side effects like distortion of the patient’s anatomy and several adhesions. MORE: Endometrosis in advanced stages seen to complicate births aided by infertility treatments. 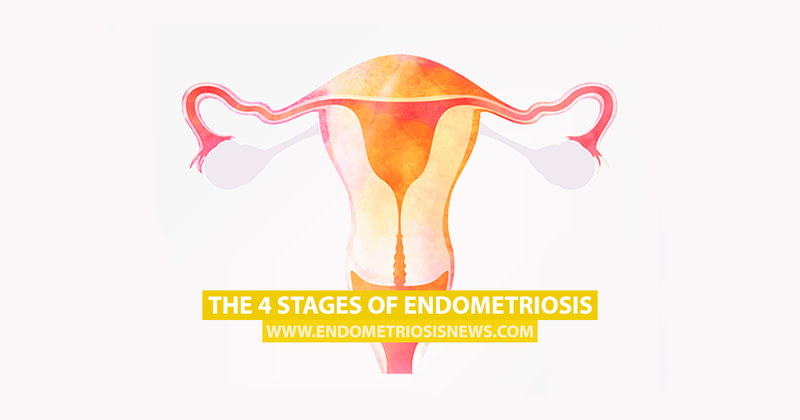 However, both doctors and patients feel like this method of categorizing the stages of endometriosis is outdated and limited, as it doesn’t correspond with how the disease affects a patient. Because of these complaints, studies are being conducted that may lead to a new classification system. Currently the rASRM and the Enzian system are both alternative options for classification systems that you may discuss with your doctor. Be aware that despite having been greatly improved in 2011, the Enzian option is still regarded as a bit hard to understand and is more widely used in German-speaking countries. 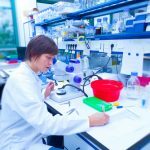 MORE: New classification system for endometriosis surgical outcomes and complexity being developed. Tagged American Society for Reproductive Medicine (ASRM) 2016 Congress, ASRM, endometrioma, Enzian classification system, rASRM, stage I, stage II, Stage III, stage IV endometriosis, stages, stages of endometriosis. Whether it be stage 1, 2,3, or 4 all the while your body is going through hell. Your immune system is always in hyper-drive eventually leading to an additional problem or problems. When your immune system is always in overdrive trying to fix your body, it eventually stays on with no off switch and it begins to not recognize the illness as being the invader it begins to attack the bodies healthy tissue, thus causing problems such as Lupus or Mixed Connective Tissue Disease, or even problems such as Colitis. Doctors need to recognize the problem early on as to avoid additional problems, but again, most are not willing to perform a surgery with very little compensation. The risks for the doctor are much greater than the return in their deep pockets as the insurance companies too. I spent years being mixed diagnosed. 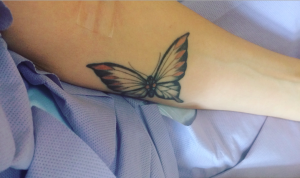 I had 3 surgeries before they even knew what was wrong. Finally had the surgery to remove the endometriosis but it had already spread so far that I lost my appendix, part of my colon and a piece of my bladder as well as my ovaries. I feel like the years of pain could have been relieved a lot sooner. In a nutshell, I spent nearly 2 years in and out of pure agony, it was like the contraction pain of labour but constant for hours or days at a time, I was crippled in pain, couldn’t function at all, just rolling round the floor crying. I was fobbed off so many times by my hospital until they realised I had a tumour on my ovary, was fast tracked to have it removed and thats when they found I had stage 4 (severe) endometriosis. My ovaries where kissing, stuck to my uterus along with my bladder and appendix. I was put on menopause injections at 34 yr old, it was an absolute nightmare for me, not even hrt made the symptoms of menopause go away. The crazy thing was, I have 3 kids and have always fell pregnant easily, so I wasn’t the norm for endo, my last 2 kids are 18 months old and 4 years old, my partner had just had the snip before my diagnosis. I am currently back to square 1, having endo pain and waiting to see the gyno, I was told that my next surgery would require a bladder surgeon and I was probably going to have to wear a colostomy bag afterwards, be in hospital for 12-14 days after surgery too, which isnt an option for me as my partner works and there would be no childcare for my children. The thing that has upset me the most is my local hospital fobbing me off before I went private. I have given birth 3 times, the 1st birth without pain relief, the 2nd with gas and air while getting stitched up, nothing else and my 3rd was an induced labour and all I had was gas and air, I can cope well with pain, but the agony I was in with endo pain was fobbed off with cocodomal and sent home every time I went to A&E, I was treated like crap, I want people to know how painful it can be and for hospital staff to be informed its like labour pain and they should be treated with stronger pain relief than a tablet. I have only ever cried in pain when giving birth and with endo, why do they treat women with endo in such a bad way, theres no support for me, no pain relief, I can’t look after my children or myself when in pain and my partner has already lost 1 job because of me being so ill, its a disability for me, even my surgeon said I am a strong lady who can cope well with pain, thats after he had seen the mess I was in inside, he took photos to show me he was that shocked at it. I have respect and sympathy for women going through the same thing. I feel your pain I myself have been diagnosed with stage 4 endometriosis. I’ve had approximately 9 surgeries. I’m presently on Lupron 11.25 its not helping much had a procedure a year ago with a Pelvic pain specialist, I believe that I’m in more pain now than I was when I had the surgery. I’m trying to become a patient with Dr. Tamar Seckin in New York New York. It’s all up to my insurance company as to how my next level of health will be until then, I guess I’ll continue to use my Midol everyday and continue to take the shots. madam, doctor advised to take Lupron 11.25 for how long period. after Lupron is doctor suggested to take any maintaince thearphy. 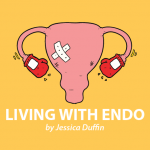 I had a hysterectomy with removal of both tubes and both ovaries due to stage 4 endometriosis, enlarged uterus (size of 12 weeks), ovarian cysts, retroperitoneal fibrosis, and more. It encased my right ureter, and nearly a year later my kidneys are starting to go back to normal. They had to unglue most of my organs in that area, and there is no guarantee that mine won’t be back with a vengeance since they are not sure they got all of it out. I had to have a bag for a bit which was not fun. I have allergies, plus if they give me one type of medicine or hormone, it causes my blood pressure to skyrocket. Anyone that deals with this has to be a rockstar in order to not only survive, but thrive.